﻿ Achti Resort Luxor. JIMAT di Agoda.com! Ada soalan mengenai Achti Resort? Terletak di Pusat Bandar Luxor, Achti Resort merupakan tempat menarik untuk memulakan pengalaman di Luxor dan kawasan sekitarnya. Dari sini, tetamu boleh menikmati semua kemudahan yang bandar ini tawarkan. Penginapan ini berada di sekitar kawasan tarikan bandar yang popular seperti Lotus Bazar, Sky Cruise of Egypt, Aegyptus Papyrus Galleries. Achti Resort juga menawarkan banyak kemudahan untuk memperkayakan penginapan anda di Luxor. Tetamu boleh menikmati kemudahan seperti meja depan 24 jam, fasiliti tetamu kurang upaya, simpanan bagasi, tempat letak kereta, khidmat bilik. Semua penginapan bagi tetamu menawarkan kemudahan yang difikirkan dengan teliti bagi memastikan rasa selesa yang sukar ditandingi. Tab panas, padang golf (dalam jarak 3 km) , kolam renang terbuka, rumah urut, taman permainan kanak-kanak di hotel merupakan tempat yang ideal untuk anda relaks dan tenangkan diri selepas hari yang sibuk. Achti Resort merupakan tempat yang ideal bagi penginapan pelancong yang mencari keindahan, keselesaan dan kemudahan di Luxor. Almost everything is perfect except the restaurant, only one restaurant is appropriate for the 4 star hotel. Room condition and atmosphere is really nice. I will stay again here if I can come back to Luxor someday. the hotel is old and we order a food In hotel terrible !! The room is small and old! All fair for what we paid was happy enough. There is a large daily service fee that is not included in the room rate and they dont tell.youabout it until you check out. Also had problems with wifi. Staff were apologetic but also very evasive about the problem acusing me of not knowing how to use wifi instead of believing there was an issue. The indian restaurant is a must! The staff were amazing it was the best service I had in all of luxor! Please have a meal there if you stay at the sheraton. 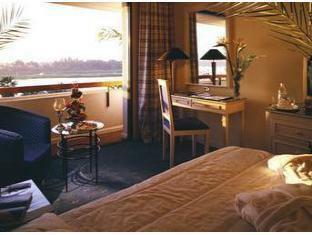 The view from the nile view rooms is spectacular. The hotel is in a bit seperated location, but instead, it has a larger surrounding with the garden, and the restaurant with panorama view of Nile river. The room is nice, comfortable and the bathroom is very good. There is a felluca boarding place in front of the hotel, and the felluca trip was great. We don't need to bargain much because the felluca stay there to serve tourists from Sheraton, so the captain is reliable. Taxi from hotel to the center (ex:luxor musieum) costs about 10-15 E.P. Wifi is available, but guests have to pay for the wifi voucher, which is a bit high (5€ for 30m). About money, be sure to have small change in advance. Off noise city center at very quiet end of the street. Nice! Like other Sheraton resort, this one has its own water front. Quiet, peaceful with beautiful Nile view. 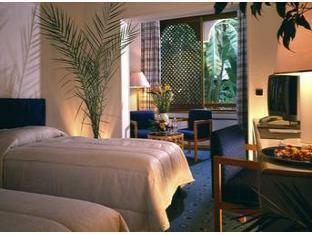 The hotel is only a few minutes from city center. Room is small but people are very friendly. Breakfast is not very good. There is an Indian restaurant in the hotel, very expansive, not recommended to eat there. We had very good time staying there. Wasnt satisfied with this hotel. Location is away from the city cenre, rooms looked old and worn out, beds were small and uncomfortable, air conditioning was malfunctioning - and the hotel staff weren't even very apologetic. Quite a rip-off. 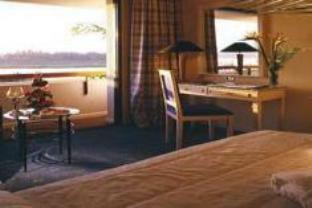 I were stay at this hotel on Dec 28 -29 2009 only 1 night.. It s so hard for go out , I have to tell reception for take a cap.. and the hotel Its located on the end of the road .. tight road.. so i have to sit in the car like 15 mins just for go out from the hotel 's main entrance.. coz too many buses and parking car. you should go out just once , dont back to pick up or change if it possible coz in the night time is so short in Luxor ....10pm is all most close and dont forget this hotel so far from the city center. about food is good I ate at allday dining restaurant.. food is ok"
Hatte Gartenbungalow. Ein schönes Zimmer. Im Bad hätte ich allerdings mindestens einen Haartrockner sowie Waschlappen erwartet. Au bord du Nil, Bien situé. J'ai séjourné dans cet hôtel pendant 5 jours fin avril 2010. L'endroit est très beau, au bord du Nil avec deux piscines. Nos premières nuits se sont mal passé il y avait des puces dans le lit. On a demandé à ce qu'on nous change les draps, ca n'a pas été fait. Après avoir expliqué une seconde fois notre histoire le lendemain on a eu la chance qu'une manageur anglais de Sheraton, de passage à ce moment la dans l'hôtel nous entende et demande à ce qu'on nous attribue une nouvelle chambre. Le reste du séjour c'est passé sans problèmes.